Millenicom has a great deal right now. iPad mini retina for $365 and/or iPad Air for $465 (both are 16gb, 4G), that's the final price including activation and shipping. That's less than you can get anywhere else for the wifi versions, let alone 4G. It also comes with free data, I'll detail that below because, honestly, it seems too good to be true and I don't know that it will last. I looked at it as just the tablet, any data I get now and in the future is a bonus. Millenicom is a reputable company that has been in the wireless data reseller business for years. I ordered one on Wednesday but wanted to wait until I got it before I posted anything here, just in case. I got it this afternoon, brand new in the box just like it came straight from Apple. Unfortunately this got posted to slickdeals this morning so the site is getting slammed so you'll have to be patient, it might take a while to place an order. -free 4g LTE (6.5 gb/month, t-mobile) until April 1. Seems reasonable. 4G was working for me right out of the box. I'm assuming it will last until 4/1. -You can get 200mb a month for life from t-mobile on any tablet including this one. That's what I assume I'll be using eventually. This deal is advertised as 200mb of LTE a month and unlimited non-LTE for life. What is non-LTE? Don't know. I'm hoping that means 3G. Maybe 2G, edge, 14.4k. No idea. I ignored that part of the equation completely when deciding to buy it. If it works, great. If not, I still got the tablet for a great price and can get data from any of the 4 major carriers including the free 200mb from t-mobile. Just switched my wife and I from an iPhone to the new HTC One M8 over the weekend. It's still early, and there's some adjusting to the switch, but so far, I'm absolutely loving this thing. The biggest negative may simply be that the keyboard is a little too big, at least until I get used to the switch. But it really is a beautiful piece of gadgetry. I think Apple really missed he boat by not going to much larger screens. I wandered around a AT&T store a while ago, where you can compare phones side-by-side unlike at an Apple store, and the diminutive size of the iPhone screens was really apparent -- and was a strong negative. From a development perspective the small number of fixed sizes makes a lot of things easier. Dealing the wildly varying canvas sizes under Android is a design layout PIA. I personally thought the size of the 3GS was perfect but can deal with the slightly larger size of the current phones. The current Android phones have pushed right into tablet sizes which made it difficult to stick in a pocket and operate with a thumb. I drop my 4s on occasion, it's true. I think Apple really missed he boat by not going to much larger screens. Bigger, bigger, bigger. Because I use google voice as my main number, I carry several phones (2 cheap plans instead of 1 expensive one. that way I get the combined coverage of 2 carriers). Both of my phones are Galaxy Notes (a 2 and a 3). The only way I would replace one is with something bigger. I desperately want t-mobile to carry a 7-inch phone. Phone capabilities in a Nexus 7 would be perfect. I don't want to resort to hyperbole so I'll just say that Samsung Gear VR is the coolest thing in the history of the universe. It's a virtual reality headset that uses Oculus Rift software. It uses a samsung phone (either a Note 5 or S6) as the screen so it's shockingly cheap ($100 for the headset) and works great. It has some cool, gimmicky videos that are computer generated, 3d, 360 degrees, so you are in the middle of the action and can look all around. They're typically only a few minutes long but really amazing. There are a surprising number of games available but I've only played one called Smash Hit but it's really cool, extremely well done. I'm not much of a gamer but I'm looking forward to trying a few more in the offseason. The main thing I use it for is watching movies. 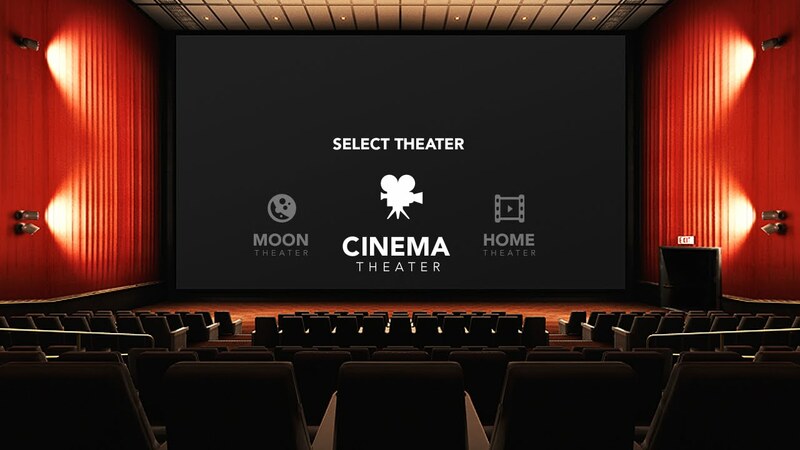 It comes with a VR cinema and you can load your own movies onto the phone. It really looks amazing (here's an image), it looks like you're really in a movie theater. You can look all around the theater even down to the cup holder in the armrest. I keep having to resist the urge to put my feet up on the virtual seat in front of me. When I first got it about a month ago I wanted to see how well it would work on an airplane but figured it was a one-shot deal and wouldn't become a regular thing. I was wrong. I've used it on every flight since. I realize that I look like the biggest geek ever when I'm wearing them in public but to be fair I look like the biggest geek ever when I'm not so it's not a big deal. As I said, it only works with the Samsung Note 5 and S6. If you have one of those phones, this is a no brainer for $100. If not and you are in the market for a new phone, this should be a factor in choosing a phone. If you're like me (and for your sake I hope you're not), this would be the deciding factor. Crap, I just finished my 3,000 word write-up on the Slinky I got for Xmas. I'm not even going to publish it now. Thanks for ruining it for everyone, Andy.